A dream DIY cleaner — this multi-purpose homemade soft scrub cleaner recipe is tough on stains and free from chemicals and harmful substances! Castile soap is a gentle, biodegradable soap that is tough on dirt and grime and gentle on your skin. Peppermint essential oil is antibacterial and adds a lovely ‘clean’ scent. Tips and Tricks: For an extra deep clean, follow this scrub with our disinfecting spray. 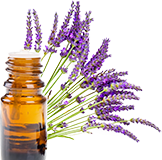 Variations: Other essential oil options for this recipe include tea tree, lemon, lavender, and lemongrass. They all have germ busting properties and smell great! Watch the video below for a step-by-step tutorial for making this homemade soft scrub recipe. Mix ingredients together in bowl and scoop into jar or squeeze bottle.